I don’t know much, but I do know this: Any event put together by Devoya Mayo and the Soulflower Group is a guaranteed good time. 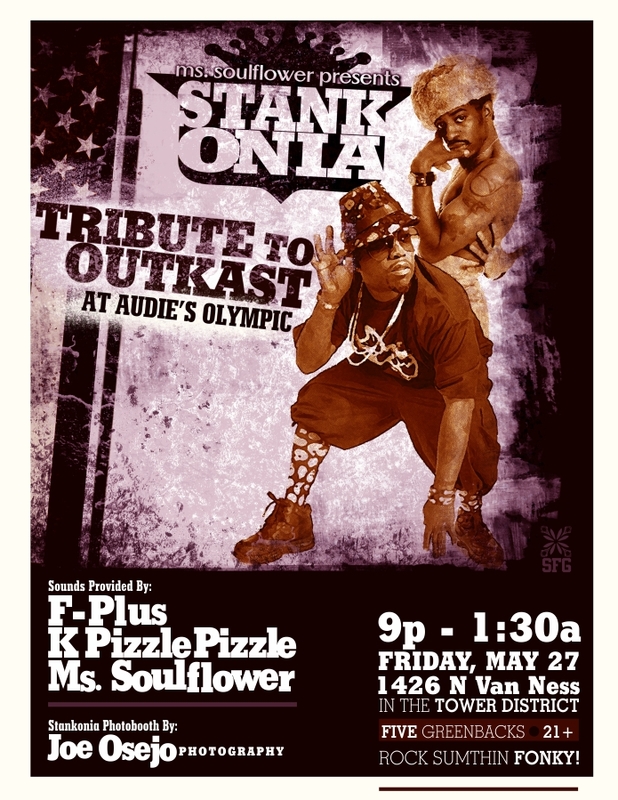 Tonight the group takes over Audie’s in the Tower for Stankonia, a tribute to Outkast. Today is Andre 3000’s birthday, making the party even more timely and special. If you’re able, I highly recommend checking out this event. It’s only $5 and, like I said, a guaranteed good time. At the last tribute, to Prince, Devoya handed out tiny tambourines she’d decorated with Prince’s symbol. I mean, tiny tambourines. Come on. 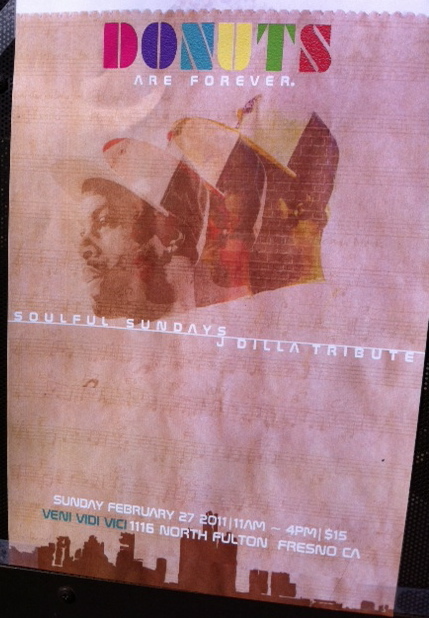 Sunday morning I had the immense pleasure of attending a semi-regular Fresno event, Soulful Sundays, at Veni Vidi Vici in the Tower District. The theme of the event, put together by the ever-amazing Devoya Mayo and Bradley Fitzhenry, was a tribute to deceased hip-hop producer J Dilla. Brunch was served on the patio while Dilla tracks were played. The crowd was enthused, the music was great, and the mimosas kept on coming. It really was a great experience, and one that I would do again. Following are photos from the event.